3DReid has designed all aspects of an airfield’s operation; from logistics, operational and support buildings to passenger terminals and has a keen understanding of the political, business and stakeholder drivers. We have in-depth experience of designing airport facilities, both airside operations and landside facilities including car parking and logistics. We have worked closely with main contractors under design and build contracts to deliver new build, extensions and refurbishment of international hub and regional airports. Our UK airport experience covers over 20 airports from Aberdeen to Southampton and includes small civil airports, executive terminals (FBO’s) and major hubs including framework positions for both Heathrow and Gatwick. We have worked across a number of major airports globally including a new airport in Brazil, Gibraltar; Abu Dhabi International Airport; Antigua; Libya; Hong Kong International Airport and a major terminal redevelopment for Male International Airport in the Maldives. 3DReid has established a strong reputation for terminal refurbishments, building a portfolio of complex projects that enhance the passenger experience, from drop-off and interchange facilities, through check-in and security; immigration and departures lounges to piers, satellites and air-bridges. We have also designed a number of baggage facilities including the Transfer Baggage Facility at Abu Dhabi International Airport and various facilities across Heathrow Terminals 1, 3 and 5; Gatwick Airport and Birmingham Airport. We also specialise in the design of Fixed Base Operations executive terminals and Air Traffic Control towers, designing a number of award winning facilities for both uses at airports around the world. We understand the specific challenges of working within live, passenger facing environments, where it is essential to minimise the impact of construction works on the airport operations and passenger experience and to ensure high standards of health and safety are maintained at all times. AECOM has over 60 years experience as one of the world’s leading provider of technical and support services to airport owners, investors and aviation clients. Our expertise includes airport master development plans; airfield/airspace operations planning and design; airfield engineering; passenger terminal design, baggage and landside vehicle flow simulations; airport IT systems and security, pavement evaluation, rehabilitation and management, program and construction management. Aedas is the world’s only local and global architecture and design practice driven by global sharing of research, local knowledge and international practice. Our 1,400 creative minds with design studios across the globe create world-class design solutions with deep social and cultural understanding of the communities we design for. The most aeronautical of airport engineering consultancy firms. At AERTEC Solutions we provide engineering and consultancy services for airports, covering every single aspect throughout the entire airport life cycle (conception, planning & design and operation). We are dedicated to the aeronautical facet of an airport. Projects at over 100 airports worldwide, offices in the UK, France, Spain, USA and Colombia, and a workforce of more than 500 aeronautical professionals are the foundations on which our track record in the airport sector has been built. 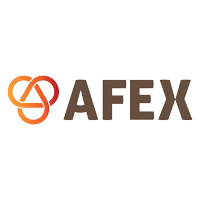 Established in 1979, AFEX is one of the largest global, privately owned, non-banking providers of international payments and risk management solutions. AFEX is a trusted partner to more than 35,000 businesses and individuals worldwide, helping clients to process payments to more than 180 countries around the clock daily. Our tailored solutions help companies stretch their budgets further, by reducing costs and minimising currency risk. With 22 offices around the world and covering all time zones, AFEX offers a comprehensive range of foreign exchange services, which seamlessly operate 24 hours a day, seven days a week, trading more than $20bn in foreign exchange each year. AHR is a design-led practice offering services in architecture, building and land surveying, masterplanning, landscape and urban design, interior design, advanced modelling and sustainability, imaging, CDM project safety and access consultancy. The practice aims to provide its clients with a global network of expertise across the aviation industry including the delivery of international and domestic airports and multi-modal interchanges. The practice has successfully worked with airport operators, developers and government authorities to produce integrated masterplans and designs for airside and landside facilities. We provide a comprehensive design and procurement service. BP is a global energy company. Air BP, a business unit within BP, supplies aviation fuel and specialist technical services across all continents and in over 50 countries and 800 airports, and serves commercial airlines, military and general aviation customers. Air BP technical services team is a global leader in the design, construction, commissioning and operation of complex fuel infrastructure facilities, with an international portfolio of military, large commercial and smaller regional airport projects including Heathrow, Manchester, Stansted, Rotterdam, Iceland, Tirana, Rio de Janeiro, Johannesburg, Maputo, Madagascar, Dubai, Bahrain, Sharjah, Iraq, Perth, Auckland, Singapore, Hong Kong, Shanghai, Guangzhou, Shenzhen and other China airports. Air BP leads or participates in over 150 joint ventures across the globe. Air BP supports the industry in meeting their obligations in terms of a lower carbon future. Air BP’s environmental solutions offer supports a best practice carbon reduction programme to reduce, replace and neutralise carbon emissions. The key elements on offer are lower carbon fuels, lower carbon operations and carbon offsetting. In 2016 Air BP became the first aviation fuel supplier to achieve carbon neutrality for its into-aircraft fuelling services across 250 Air BP-operated airport facilities. Airport Design Consult has design experience across the whole spectrum of the airport environment from passenger terminals, cargo terminals, hangars and engineering facilities, police and secure buildings. ADC specialises in terminal sizing, capacity assessment, asset sweating, functional planning, concept design, terminal master planning and commercial and retail planning and design. Airport Systems Limited is an aviation solution provider dedicated to the raising of an airports’ or airlines’ operational efficiency. Over 75% of the world’s passengers fly through an airport that relies on solutions provided by Airport Systems Limited. Our approach is to develop solutions that embody the Ultra Equation: Observation – improving what you know Response – improving your decisions based on accurate, timely information Analysis – analysing decisions and trends using comprehensive tools Evolution – optimising performance and providing strategic insight Added together, these elements result in the Heightened Efficiency of an airport, and to the greatest possible enhancements in passenger experience. For over 40 years, Airports International has reported on the airports industry, enabling readers to make important business decisions. Featuring a broad mix of news, in-depth features and detailed analysis. Airports International details the latest issues affecting ATC, airport security and safety, baggage handling, passenger seating and more. Now available in both print and digital formats, visit our website to register for your free copy (www.aiportsint.com). Alan Stratford and Associates (ASA) was established in 1968 and provides specialist services in air transport consultancy. More than 200 airport and 50 airline studies have been carried out in the UK, Europe, Africa, SE Asia and Australasia. Services provided include air traffic forecasting, airport master planning, airport privatisation studies, airport investment appraisal, airport and airline sales / due diligence and airline business plans. Anderson Acoustics provides acoustics and vibration consultancy services across airports, construction, building acoustics and soundscape sectors and have grown to be one of the largest independent acoustic consultancy practices in the country. We provide expert advice, guidance and insight for the development, implementation and delivery of successful airport noise management strategies. We go beyond noise level reduction in strategy and mitigation to include communication strategies to build the relationship with the local community. We find the story in the data and provide insight that enhances the conversation with stakeholders and the local community. We support airports on the development of their noise management strategy and noise action plans; assess and analyse airspace trials; develop strategy and undertake noise assessment work for airport expansion proposals; handle noise complaints and provided assessment services for noise insulation schemes. We apply the key aspects of the ICAO Balanced Approach, EU Operating Restrictions Directive, UK Aviation Policy and Planning Frameworks in the context of airport, stakeholder and community priorities. Arcadis is the leading global natural and built asset design and consultancy firm working in partnership with our clients to deliver exceptional and sustainable outcomes through the application of design, consultancy, engineering, project and management services. Arcadis differentiates itself through its talented and passionate people and its unique combination of capabilities covering the whole asset life cycle, its deep market sector insights and its ability to integrate health & safety and sustainability into the design and delivery of solutions across the globe. Our experience of working in complex airport environments around the world gives us knowledge and insight into the unique challenges faced by the aviation industry. Our global team offers a complete aviation service from planning through to construction in live operations. We maximize the potential of the airport by creating outcomes-focused strategies, ensuring the business is aligned with continuously changing aviation environments. Arup is a global firm of over 14,000 planners, designers, engineers and business consultants, operating from 87 offices in 34 countries. We have over 50 years’ experience in the aviation sector, gained through assignments at more than 100 airports worldwide. Significant recent commissions have included London airports, Dubai, Abu Dhabi, Amsterdam, Dublin, Istanbul, New York, Los Angeles, Singapore, Mexico City, Beijing, Hong Kong, Taipei, Perth, Melbourne and Auckland. In all of our work we focus on helping our clients solve today’s complex issues while planning for the future. We seek creative operational and planning solutions that address the complex relationships between aircraft, passengers, baggage, ground transportation and cargo. We help optimise the capacity and value of existing assets, while assisting with the complex decisions of when and how to take the jump to redevelopment. The circular economy, sustainability, resilience and climate change are dominate factors in our solutions based engineering schemes within the airport environment and equally figure heavily in the surface access transport and cities based agendas. Our aviation team provides a leading edge, comprehensive range of planning, design leadership, program management, operations, project leadership and business consultancy services, including: Airport masterplanning services relating to airport wide (airside and landside) and terminal area planning, service level definition, definition/analysis of processes for passenger flow, ground support equipment, terminal logistics and simulation modelling. Recent projects include Copenhagen, Krakow, Queenstown, Auckland, Mexico City and Istanbul airport masterplanning. Facilities engineering and program management relating to new build and redevelopment works with airfield and terminal design projects such as Heathrow, New York, Dublin, Hong Kong, Perth. Specialist award winning airport systems advisory services (baggage systems, security, fire, lighting, cargo, information/digital systems, visualisation, auralisation and simulation tools etc ) including development of user requirements, operational processes and service levels and associated engineering / procurement management / commissioning, with recent projects at Manchester, Heathrow, Dubai and Hong Kong airports. Operations consultancy, such as operational readiness planning and program management including development of plan of operations, scheduling and management of resourcing, training and trials, management of stakeholder relations, and organisational transformation. Recent projects include Operational Readiness at Heathrow T2, Mumbai, New York and Perth. Corporate finance services associated with business plan development, technical due diligence on sale / acquisition and public-private partnerships such as Kansai and Itami privatisation vendor due diligence advisor. Our team employs a highly analytical approach to problem definition and solution development, based on an in-depth understanding of airport and airline operations and an appreciation of airports as commercial businesses and public assets. We deliver pragmatic solutions, directed to achieving projects that are fundable, buildable and minimise impact on operations. atg airports is a leading global manufacturer and turnkey installation projects company for airfield lighting solutions. We are a key component in maintaining the safe and efficient airside operations at civil and military airports and airfields around the world. From our UK & USA manufacturing and production plants and in conjunction with a global network of professional AGL representatives, agents and distributors we manufacture a comprehensive FAA, ICAO approved range of airfield lighting and ancillary products. atg airports – AGL Manufactured Products Complete Range of LED & Tungsten Luminaires AGL Smart Control & Monitoring Systems CCR’s – Micro Processor Controlled LED Clearway Airfield Signs Heliport Lighting LED Obstruction Lighting Isolating Transformers & AGL Cables Vast AGL Stock & Spares Holding Dedicated Aftersales Support Teams atg airports – Project Installation Teams Global Turnkey Installation Projects Complete AGL Design & Consultancy Service AGL Civil & Construction Installation Works AGL Commissioning & Flight Testing Total Maintenance Solutions for Airfield Services Navaids & Instrument Landing Systems (ILS) AGL Photometric Testing AGL Control System Service Contracts AGL, CCR & Control System Training atg airports have delivered AGL contracts in over 110 countries for over 30 years. Our success is down to the innovative, unique and individual solutions we deliver to each of our clients. We provide a flexible and creative approach that is needed to complete many of the complex airside projects we undertake. By working together with all the airport and airfield stakeholders we deliver first class products and installation services that achieve the highest standards in the industry. atg airports Quality Assurance Our UK and USA manufacturing plants and management quality control procedures are ISO:9001:2008 compliant. atg airports is a fully approved ‘Safe Contractor Plus’ member, a scheme that only recognises and accepts companies that adopt the highest standards in Health & Safety Management Processes. We employ the latest UK HSE safety legislation that governs all our companies’ activities. Quality British Innovation & Manufacturing atg airports is the only British company to manufacture and install AGL products and systems. The most recent development is the launch of our IRIS range of luminaires that employs the latest developments in LED technology. Suitable for CAT I, II, III airfields, IRIS is setting new standards in the airfield ground lighting fixtures market by operating unrivalled reduced maintenance and enhanced reliability standards. Atkins is one of the world’s most respected design, engineering and project management consultancies. Working through trusted long-term partnerships we help our clients create world class airports, making air travel safer, easier and faster. We work on developments of all scales – from general aviation terminals to infrastructure at the largest global hubs. With a commitment to technical innovation and service excellence, we engage with our clients to introduce them to new ways of thinking and new ideas within a new digital culture. Acquired by SNC-Lavalin in 2017, Atkins can tap into experience from across the SNC-Lavalin group to help our clients achieve their business goals. Aviaire is a consultancy company specialising in wildlife hazard management. We provide expert advice and support in assessing and managing wildlife hazards with airports the core focus for our business. Our mission statement is to sustainably minimise risk of damage to aircraft, human life and the built environment through wildlife and habitat management that is both ecologically friendly and abides by good practice. Established by a group of industry leading software development and project management professionals with a lean, agile and innovative approach to project analysis and integrated delivery AAC now operate globally working in partnership with some of the world’s largest organisations to deliver mission critical control systems. Our approach allows clients to concentrate on their core business whilst we bring our expertise and experience in project delivery management. The result is reduced operational costs and an improved customer experience. Our philosophy is at the heart of everything we do and has been enhanced over the years to become embedded in our people, culture and values. 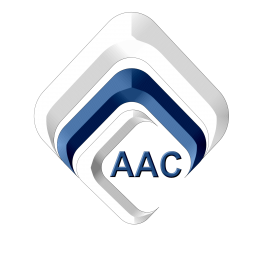 At AAC we work in partnership with you to focus on the crucial aspects of your business with an eye on future operational and legislative requirements. Avon Barrier are leading suppliers of crash tested Road Blockers, Barriers, Bollards and Gates, independently tested to internationally recognised standards ASTM 2656, PAS 68 & IWA 14-1, withstanding an impact of a 7500kg vehicle travelling at 50 mph, making them ideal for protecting perimeters, public spaces, key infrastructure and iconic buildings from vehicle borne improvised explosive devices (VBIED) or where a vehicle is used as a weapon. Our anti-ram systems are the choice of Governments, Airports/Ports, Military, Banks, Critical and Public Infrastructure, throughout the UK and worldwide. An international company exporting systems to over 70 countries with a dedicated team supporting a network of clients and distributors providing a complete turnkey solution - consultation, design, manufacture, installation, commissioning, training and service support.